Gratitude belongs in business. In 2015 Americans gave an estimated $373.25 billion to charity. That was the highest total reported in 60-years. Yet, less than 30% of us bring gratitude into work. Science can prove gratitude has real benefits. The benefits are powerful, personally, mentally, and achievement wise. Gratitude has a huge ROI with no negative side effects. It’s the primordial soup that allows for the basic human needs of growth and connection. It is a value, a principle, a feeling. It exists in every major religion. Most successful leader have some form of gratitude as a practice and value. Appreciation is the business code word for gratitude. 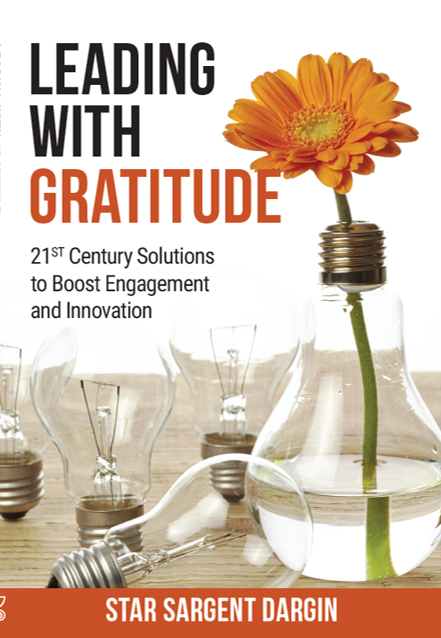 When leading with gratitude, we create healthy, positive, forward-moving organizations. Leading with gratitude changes our focus reveals and changes the problems we are solving. Gratitude can be learned and strengthened like a muscle. It can be applied as an approach for even the most complex and chaotic situations. Leading with gratitude creates a connection and appreciation for something outside oneself. It is not selfish, and it includes you, the leader. Leading with gratitude in difficult situations is easy to understand, hard to apply, but a powerful when used. Gratitude is transformational, for Individuals and business. Research proves it, and I can personally vouch for it. I’ve been a conscious practitioner of gratitude for over fifteen years and have incorporated it into my business. Over the past year, I’ve dug deeper into the topic by immersing myself in reading, researching, and studying it. In sharing my own passion and conviction about the power of gratitude over the past months, I’ve been validated by all the responses and stories others have shared on their own gratitude journey. It’s so simple and easy to do once. Creating a practice and shifting a team or organization takes work and discipline. As the world get more complex, connectivity increases, demographics change, the only thing guaranteed is change. When gratitude is infused into our daily practice, it becomes the unconscious approach for individuals and leaders and creates a positive approach to these inevitable changes and unknowns. Start a daily conscious practice of gratitude now. Like yawning, gratitude is contagious. Learn to appreciate more, and let me help you do it. 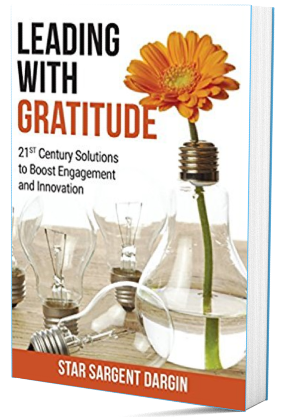 Read my book, do the reflections, take the assessment, come to a workshop or webinar, or hire me to speak on gratitude to your organization. How would you rate your business on using gratitude?